Patrick C. Heath was born the last day of December 1945 in Palo Alto California, but he was never a Californian. His mother, Betty Driscoll-Kjera, was born 1914 in Fairbanks to a Montana school teacher and an Irish miner. As it was for Betty, Fairbanks was Pat’s first home, just as it was for his siblings: Ed Heath, Kathy Lewis, John Heath and “the boys” Andrew and Tom Kjera. Their lives were full of stories: stories of the Fairbanks floods, camping at Harding Lake, berry picking adventures, broken cars/motorcycles/snowmachines and the tomfoolery that inevitably ensued. All stories told, retold and argued during spirited card games, where fighting over the rules seemed to be the actual game. Patrick left Fairbanks as a young man and eventually found himself, like so many men at the time, in the jungles of Vietnam. He served with the 2nd Battalion, 3rd Marines at Khe Sanh, in what became known as “The Hill Fights,” where he took a bullet to the wrist, April 27th 1967. For this, he was bestowed the prestigious military honor, the Purple Heart Medal. After returning to the US, he began working in the growing Alaskan Oil and Gas industry where he would eventually spend over forty years and become the first, and last person to water ski north of the Arctic Circle, behind a spill response boat. For a short time, he attended the University of Alaska Fairbanks and studied Journalism with Glen Boyer, a man that would become a lifelong friend. The story goes that journalism seemed an easy major and provided a good cover story to meet girls. The following spring, he spent time backpacking through Europe, from Spain to Ireland, where he was able to meet Irish family members. He was shown first hand by his Irish uncles where they had fought for independence, in and around Snave Bantry, during the early 1920’s against the British. After returning to Alaska, he met Sherry Lynn Best though Glen. Sherry was also from California, but spent her teens in Alaska with her family living the Alaskan dream of freedom and hard work on the Kenai Peninsula. They dated off and on until Patrick saw Sherry out on a date at the Katmai Lounge. He literally sat down and chased the guy off. Patrick and Sherry were married soon after on September 1st, 1973. Patrick had no idea he had joined a family just as large and quite possibly louder than his own. They lived in Nikiski, Alaska for over 30 years on Cabin Lake where they raised three children: Brian, Brandi and Chera, along with dozens of foster children, many of whom became like their own children. The years on Cabin Lake were spent forging friendships and creating memories that will last many lifetimes. Pat and Sherry eventually moved to Soldotna where they built a wonderful home with a beautiful yard and garden where their seven grandchildren and countless friends and relatives could spend time building even more memories. Patrick spent the last few years in retirement playing with his grandkids and continuing to take care of everyone around him. He became a member of the local VFW and the Purple Hearts, the Pioneers of Alaska and was very involved with the Soldotna Senior Center. At home he spent time organizing his collection of Alaskan Native art, his books and his photography. The first week of March, Patrick began noticing some weakness and doctors found that he needed surgery to increase blood flow to his brain. The surgery in Anchorage went well and he was surrounded by his children before, during and after. He spoke to and laughed with many friends and family in the days prior. But alas, while preparing to leave the hospital, he suffered an event that led to his peaceful passing on March 15th a sunny, cool spring morning. He is survived by his loving wife of 45 years, Sherry, along with his children: Brian Heath, Brandi Heath and Chera Wackler; his grandchildren: Driskoll, Fionna and Devynn Heath, Aanson and Brie Clark and Van and Isla Wackler. He is preceded in death by his parents, Edwin and Betty Kjera and his brother, John Heath. Patrick loved making and sharing memories, family history and telling silly “dad jokes” surrounded by loved ones. A Celebration of Life will take place at Soldotna Creek Park, 3pm July 5th with food, music, dancing and plenty of opportunity to tell the good’ol stories and yet-to-be told stories of our father, Patrick Heath. All family and friends are welcome. To send flowers or a remembrance gift to the family of Patrick C Heath, please visit our Tribute Store. Guaranteed delivery before Patrick's celebration of life begins. 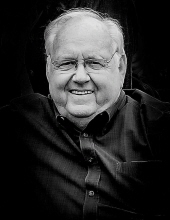 "Email Address" would like to share the life celebration of Patrick C Heath. Click on the "link" to go to share a favorite memory or leave a condolence message for the family.